This dip is absolutely amazing! 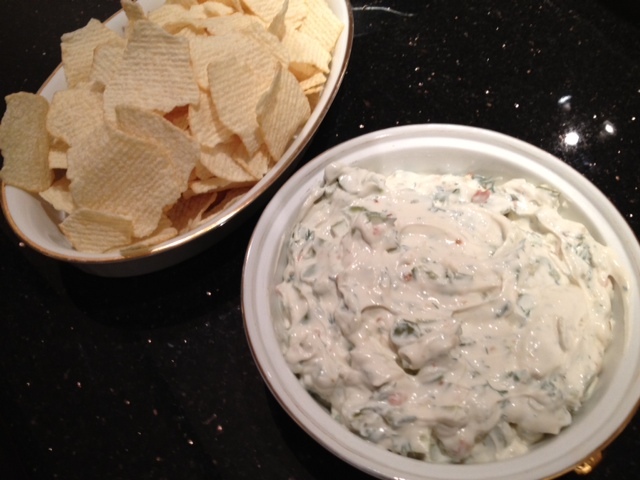 Serve it up with baked chips and this low-fat, creamy, crunchy, pickle dip is sure to be a crowd pleaser. Give it a try, you will not regret it! 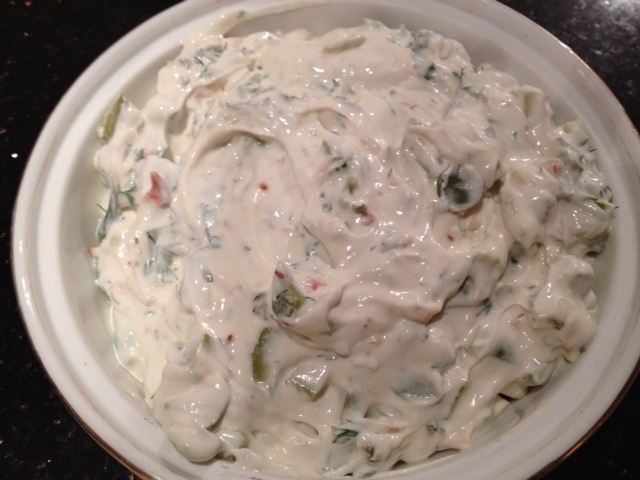 In a large bowl, combine the sour cream, cream cheese, dry vegetable soup mix, pickles, dill and red pepper flakes. Stir well to combine. 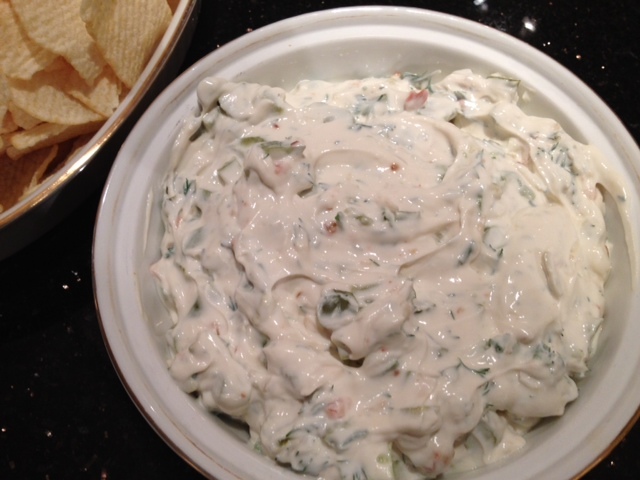 Refrigerate the dip for 30 minutes to 1 hour before serving. ← Majorly Delicious Middle Eastern Food.